Studying how Top Management Teams (TMTs) organize their managerial labor and decision-making processes is a relevant research avenue in light of the prominence of TMTs within modern firms. However, data on TMTs’ organizational design are usually not available from secondary sources and must instead be collected through surveys given to top executives. To help researchers in this difficult endeavor, the present paper offers a set of good practices for designing and implementing surveys on TMTs’ organizational design. To this end, we use as a basis the first-hand experience that we gained by working on the StiMa project, a large-scale data collection effort concerning the TMTs of a representative sample of Italian firms. We describe in detail all of the steps that we followed in preparing and administering the survey and in setting up and executing the additional data collection from secondary sources, which integrates survey data. We are confident that the lessons we learned from the StiMa project will help scholars in gathering better data on TMTs’ organizational design, thus advancing academics’ and practitioners’ conversations on the topic. The authors wish to thank Professors Emilio Bartezzaghi, Raffaella Cagliano, Massimo G. Colombo, Annachiara Longoni for their work on the StiMa project. Moreover, they acknowledged the invaluable contribution and energy that our dear colleague, Professor Gianluca Spina, provided to the project. Professor Spina passed away in February 2015, but his vision still inspires our work. Master students Gabriele Alboni, Giulia Arsie, Giulia Bazzerla, Silvia Bevilacqua, Martina Bonanomi, Alberto Bonvini, Federico Brambilla, Giorgio Corallo, Camilla Curnis, Alessandro Gibellini, Cristina Krobot, Matteo Mariani, Niccolò Martellini, Irene Mohammadi Masoudi, Chiara Passoni, Nicolò Perugini, Giuditta Piacenti, Stefania Siro, and Angela Vitale provided very good research assistantship. All the mistakes rely solely upon the authors. The 35 questions of the StiMa questionnaire are grouped in seven sections with different units of analysis. Specifically, section 1 (personal information) and section 6 (CEO’s time management) focus on the individual level of the CEO, while sections 2 (organizational structure), 3 (decision-making process), 4 (coordination mechanisms), 5 (human resource management), and 7 (general information) relate to the firm and TMT level. In addition, the researchers of the StiMa project also asked for contact information (e.g., name, surname, and email address) of five TMT members. In the case of the Chief Human Resources Officer, they used this information to check CEOs’ responses reliability (see Sect. 4.5). Table 10 reports the seven sections of the questionnaire, the number of questions included in each section, their unit of analysis and the references to the sources of these questions. In the following the main questions regarding organizational design elements used in the StiMa questionnaire are reported (the complete version of the StiMa questionnaire is available from the authors upon request). When applicable, sources of the questions are indicated in brackets. Matrix: each person/organizational unit responds to more than one hierarchical manager, depending on the type of activity or decision. Q6. Indicate the largest number of hierarchical levels between the CEO and the last level with budget or expense responsibility (Guadalupe and Wulf 2010). Q7. Indicate the number of managers who report directly to the CEO. Note: in the following, we will refer to them as the first lines (Guadalupe and Wulf 2010). Q8. Indicate which of the following roles are present in the firm. For each role, indicate whether it belongs to the first line. Further, indicate whether the manager who holds the role: (1) is a member of the top management team (TMT) and since which year she belongs to it and (2) is a member of the family that owns the firm. Roles (adapted from Rajan and Wulf 2006): General Manager; Chief Financial Officer; Chief Administrative Officer; Chief Strategy and Business Development Officer; Chief Technology/R&D Officer; Chief Marketing Officer; Chief Sales Officer; Chief Purchasing Officer; Chief Supply Chain Officer; Chief Production Officer; Chief Human Resource Officer; Chief Legal and Regulation Officer; Chief Information Officer; Chief Sustainability (Environmental, Corporate Social Responsibility) Officer. Q9. Formal coordination (Foss et al. 2013). Coordination roles between two or more Functional Departments or Divisions. Q10. Strategic decision comprehensiveness (Souitaris and Maestro 2010). Explore many different reactions to the opportunity or the threat. Q11. Allocation of decision authority (adapted from Colombo and Delmastro 2008). Indicate the lowest hierarchical level that typically has the authority to make the following decisions. Please use the following scale: 1 = the decision is made by the CEO’s corporate superior (i.e., the board of directors or the CEO of parent company); 2 = the CEO makes the decision; 3 = the first line makes the decision, but formal authorization by the CEO is always required; 4 = the first line makes the decision autonomously (i.e., no formal authorization is needed); 5 = the middle manager (i.e., plant manager, regional manager, BU directors) makes the decision, formal authorization by her/his superior is eventually required. Definition and implementation of environmental initiatives (e.g., reduction of consumption or recycling of raw materials, energy and water, reduction of emissions and wastes). Q12. Does a maximum budget exist for expenses/investments that allows the CEO to take decisions autonomously? If yes, what is the amount of this budget? (Adapted from Bloom et al. 2012). Q13. Procedural rationality (adapted from Dean and Sharfman 1996) and process rationality (Clark and Maggitti 2012). Referring to the decision making process within the TMT, evaluate the following sentences. Are tools such as meeting agendas and minutes important elements of TMT decision making? (1 = not very important; 7 = very important). Q14. Strategic decision speed (Souitaris and Maestro 2010). Believe that rapidity is very important when defining strategies. Q15. CEO's leadership (adapted from Gronn 2002). Discuss the outcomes of the firm. Q16. CEO's leadership (adapted from Gronn 2002). Indicate whether you agree with each of the following sentences (1 = strongly disagree; 5 = strongly agree). Informal leaders play an important role for change effectiveness. Q17. Tacit coordination and ongoing communication (adapted from Srikanth and Puranam 2011). Indicate how much effort your firm devotes to the following actions to facilitate the interaction between the TMT members (1 = no effort; 7 = very high effort). To use electronic tools for remote communication between members of the TMT (e.g., instant messaging, Skype, Lync, Webex). Q18. Trust (adapted from Simons and Peterson 2000) and collaborative behavior (adapted from Simsek et al. 2005). Know they can trust the other TMT members. Q19. Information exchange (adapted from Simsek et al. 2005). The high number of ideas exchanged between TMT members. Q20. Joint decision making (adapted from Simsek et al. 2005) and political behavior (adapted from Dean and Sharfman 1996). TMT members are geared toward their personal goals rather than to those of the organization. Q21. Referring to the annual compensation package of the CEO and TMT members, on average, what portion of the salary has been represented by variable compensations in the past 3 years (including variable bonuses according to pre-established targets, stock options, profit sharing, etc.)? 0; 0–10; 10–20; 20–30; 30–50; more than 50%. Q22. Which of the following statements best describes the approach of your firm in filling vacancies in the first lines? (Adapted from WERS 2011). External candidates are the typical source, no internal recruitment, except for rare exceptions. In other activities, please specify. Q24. Made 100 the total time you spend with people inside your firm (including TMT members), allocate in percentage terms the average time spent per week in group meetings and bilateral meetings (adapted from Bandiera et al. 2012). Other entities external to the firm. Bandiera, O., Guiso, L., Prat, A., & Sadun, R. (2008). Italian managers: Fidelity or performance. Rodolfo De Benedetti Foundation Working Paper. http://citeseerx.ist.psu.edu/viewdoc/download?doi=10.1.1.211.4826&rep=rep1&type=pdf. Accessed 27 Nov 2015. Bandiera, O., Guiso, L., Prat, A., & Sadun, R. (2011). What do CEOs do? (CEPR Discussion Paper No. DP8235). Retrieved at SSRN: http://ssrn.com/abstract=1758445. Accessed 27 Nov 2015. Bandiera, O., Prat, A., & Sadun, R. (2013). Managing the family firm: Evidence from CEOs at work (Working paper No. 19722). Retrieved at NBER: http://www.nber.org/papers/w19722. Accessed 27 Nov 2015. Bandiera, O., Prat, A., Sadun, R., & Wulf, J. (2012). Span of control or span of activity? (Working paper). https://www.researchgate.net/profile/Raffaella_Sadun/publication/254397603_Span_of_Control_and_Span_of_Activity/links/54b6907e0cf24eb34f6d2e9a.pdf. Accessed 27 Nov 2015. Global Reporting Initiative (GRI). (2013). G4 Sustainability reporting guidelines. https://www.globalreporting.org/reporting/g4/Pages/default.aspx. Accessed 15 Sept 2013. Guiso, L., Pistaferri, L., & Schivardi, F. (2015). Learning entrepreneurship from other entrepreneurs? (Working paper No. w21775). Available at NBER: http://www.nber.org/papers/w21775. Accessed 15 Jan 2016. Halford, J. T., & Hsu, S. H. (2014). Beauty is wealth: CEO appearance and shareholder value (Working paper No. 2357756). Available at SSRN: http://ssrn.com/abstract=2357756. Accessed 27 Nov 2015. 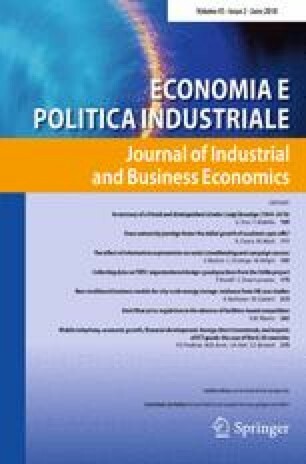 Spina, G., Rovelli, P., Colombo, M. G., Bartezzaghi, E., Cagliano, R., Longoni, A., & Rossi-Lamastra, C. (2015). Opportunity exploitation and TMT organizational configurations. Available at SSRN: https://ssrn.com/abstract=2694015. Accessed 27 Nov 2015. WERS. (2011). http://www.gov.uk/government/publications/the-2011-workplace-employment-relations-study-wers. Accessed 15 Sept 2013.